The kingdom’s finest developers will be honoured at the exclusive gala dinner of the PropertyGuru Thailand Property Awards to celebrate the best projects, design and innovation within the industry in the past year. Presented by global brand Hitachi Elevator, the 14th Annual PropertyGuru Thailand Property Awards are the most respected and most sought-after real estate industry honours. The event is part of the regional PropertyGuru Asia Property Awards programme established in 2005. With a professionally run judging system supervised by BDO, one of the world’s largest auditing and accountancy firms, the Asia Property Awards is the gold standard in real estate. Should have completed at least 5 developments in Thailand from 2014 to present. Should have completed at least 2 projects in Thailand from 2014 to present. All shortlisted developers will be invited to submit details of their Design and Construction activity. There is no direct entry for this category. All shortlisted developers will be invited to submit details of their Building Communities activity. There is no direct entry for this category. Open to condominiums and apartments with an average price per sqm. starting at 300,000 THB per sqm. The development must be completed in the period between January 2019 and before December 2022. Must have show unit. Must be located in the Bangkok metropolitan area. Open to condominiums and apartments with an average price per sqm. of 220,000 – 300,000 THB per sqm. The development must be completed in the period between January 2019 and before December 2022. Must have show unit. Must be located in the Bangkok metropolitan area. Open to condominiums and apartments with an average price per sqm. of 180,000 – 220,000 THB per sqm. The development must be completed in the period between January 2019 and before December 2022. Must have show unit. Must be located in the Bangkok metropolitan area. Open to condominiums and apartments with an average price per sqm. of 120,000- 180,000 THB per sqm. The development must be completed in the period between January 2019 and before December 2022. Must have show unit. Must be located in the Bangkok metropolitan area. Open to condominiums and apartments with an average price per sqm. of less than 120,000 THB per sqm. The development must be completed in the period between January 2019 and before December 2021. Must have show unit. Must be located in the Bangkok metropolitan area. Open to houses and villas with more than 4 units of houses. The development must be completed in the period between January 2019 and before December 2022. Must have a show unit. Phases of multiphase development are eligible for entry. Must be located in the Bangkok metropolitan area. Open to houses and villas with more than 4 units of houses. The development must be completed in the period between January 2019 and before December 2022. Must have a show unit. Phases of multiphase development are eligible for entry. Must be located in Phuket Province. Open to condominiums and apartments. The development must be completed in the period between January 2019 and before December 2022. Must have a show unit. Must be located in Phuket Province. Open to condominiums, apartments, houses and villas. The development must be completed in the period between January 2019 and before December 2022. Must have a show unit. Must be located in Surat Thani Province. Open to condominiums, apartments, houses and villas. The development must be completed in the period between January 2019 and before December 2022. Must have a show unit. Must be located in Phang Na or Krabi Province. Open to houses and villas with more than 4 units of houses. The development must be completed in the period between January 2019 and before December 2022. Phases of multiphase development are eligible for entry. Must have a show unit. Must be located in Chon Buri, Chanthaburi, Rayong or Trat Provinces. Open to condominiums and apartments. The development must be completed in the period between January 2019 and before December 2022. Must have a show unit. Must be located in Chon Buri, Chanthaburi, Rayong or Trat Provinces. Open to condominiums, apartments, houses and villas. The development must be completed in the period between January 2019 and before December 2022. Must have a show unit. Phases of multiphase development are eligible for entry. Must be located in Prachuap Khiri Khan Province. Open to condominiums, apartments, houses and villas. The development must be completed in the period between January 2019 and before December 2022. Must have a show unit. Phases of multiphase development are eligible for entry. Must be located in Songkla Province. Open to condominiums, apartments, houses and villas. The development must be completed in the period between January 2019 and before December 2022. Must have a show unit. Must be located in Chiang Mai province. Open to condominiums, apartments, houses and villas. The development must be completed in the period between January 2019 and before December 2022. Must have a show unit. Must be located in Nakhon Ratchasima Province. Open to condominiums, apartments, houses and villas. The development must be completed in the period between January 2019 and before December 2022. Must have a show unit. Must be located in North East of Thailand. Open to residential projects that offer facilities and services that especially cater to senior citizens, such as daily fitness activities, onsite healthcare, senior-friendly surroundings and social programmes. The development must be completed in the period between January 2019 and before December 2022. Must have a show unit. Open to residential projects that use internet-connected devices to enable the remote monitoring and management of appliances and systems, such as lighting, temperature and security. The development must be completed in the period between January 2019 and before December 2022. All shortlisted residential developments are eligible. Open to hotel managed property. The development must be completed in the period between January 2019 and before December 2022.Must have a show unit. Chosen from the condo category Winners. Chosen from the housing category Winners. Open to Office project. The development must be completed in the period between January 2018 and before December 2022. Open to Retail project. The development must be completed in the period between January 2018 and before December 2022. Open to Hotel. The development must be completed in the period between January 2018 and before December 2022. Open to Mixed Use project The development must be completed in the period between January 2018 and before December 2022. Open for Residential and Commercial Project which the design of a built environment that can be accessed, understood and used to the greatest extent possible by all people regardless of their age, size, ability or disability. The development must be completed in the period between January 2018 and before December 2022. All shortlisted developments are eligible. There is no direct entry for this category. The development must be completed in the period between January 2019 and before December 2022. The award will be presented to the Developer of the project. The development must be completed in the period between January 2018 and before December 2022. The award will be presented to the Developer of the project. The project must be completed in the period between January 2018 and before December 2022. Open to healthcare, education, public service, transportation, public assembly and religious facilities that are owned, leased or operated by a governmental or public entity. The development must be completed in the period between January 2018 and before December 2022. There is no direct entry. The winner(s) will be selected by the panel of judges. 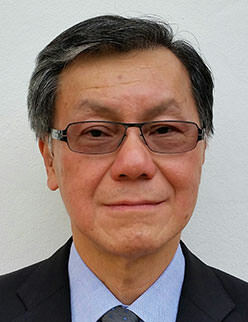 Leong Choong Peng has 43 years of construction consultancy experience. He was the Managing Director and International Partner of Langdon & Seah Thailand for 24 years. Residing in Thailand since 1989, he has worked on development projects in Thailand, Malaysia, Singapore, Cambodia, Myanmar, Laos and Bangladesh. He is a Fellow of the Royal Institution of Chartered Surveyors (RICS) UK and a Fellow of the Australian Institute of Quantity Surveyors (AIQS). Marciano Birjmohun is Managing Director and Co-founder of Real Estate consultancy firm DMRD Co.ltd. With offices in Phuket and Bangkok he offers International Project Marketing to real estate developers on a regional level, services include lean management, Sole agency operations and strategized international roadshows. With a strong emphasis on market intelligence, hospitality, and innovative digital marketing tools he provides Real estate developers an unrivaled international sales platform. Known for his global Public Relations and participation in the foreign business communities as Chamber Director, Marciano is often seen in the media as guest speaker and influencer at industry related events. 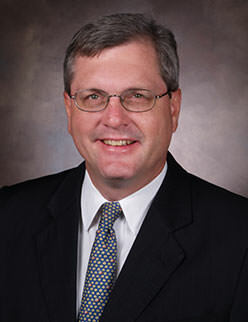 He has been on the Central panel of Judges since 2015. 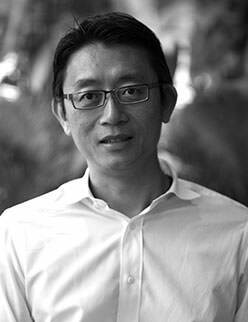 Tawatchai has extensive experience in landscape architecture both in Thailand and abroad. His design philosophy lies in cultural arts and its emerging environment, as his methodology is to look at the blending of natural processes and socio-cultural influences. He received his BLA from Chulalongkorn University in 1993 and MLA from the University of Illinois Urbana-Champaign in 1996. Before co-founding LAB, he taught classes at Chulalongkorn (1996-2000) and also worked with NBBJ and the SWA Group in the US. A leader with broad-based knowledge of real estate development and project finance in Asia, Blocker brings more than two decades of experience in corporate finance and commercial real estate to IC Partners Limited. Established in January 2011, the Bangkok-based IC Partners serves as an investment and asset manager for a number of hospitality-and residential-related investment joint ventures and family offices in Southeast Asia, advising global investors on development, strategy, capital raising, deal structuring and contractual matters. Sasivimol is well known in the Thai design sector for her rational approach, intelligent combination of quality design with local craftsmanship, and details from discerning client’s brief. In 1999 she co-founded multidisciplinary design firm JARKEN. 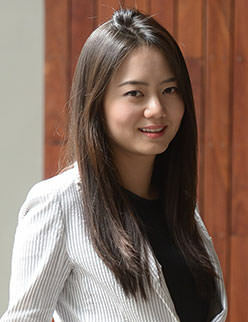 A decade later, she was recognised as one of the most promising young interior designer in Asia Pacific by the World Federation of Interior Architect. She graduated from the Faculty of Architect with major in interior architecture from Chulalongkorn University, and pursued her design research in postgraduate studies from Parson School of Design in New York and DOMUS Academia in Milano. 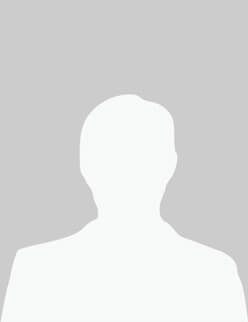 Pete C. Thirangoon is a hotel planning and investment consultant having been in the industry for over 10 years. Most of his work involved business development, asset management, and project development planning for mixed-use projects, hotels and resorts covering from economy to upscale and upscale boutique. He has been involved in numerous strategic hospitality planning, hotel operator selection, competitive landscape analysis, design and development management for multiple projects along tourism and economic destinations. From time to time, Pete takes opportunity to help educate new graduates on commercial approach to hospitality planning and design. Clayton Wade has been in the real estate industry for over 28 years with 18 years as Managing Director of the Premier Homes Real Estate Company. He is known throughout the Asia-Pacific region for his writing and public speaking, having written for the Bangkok Post, Thailand Property Report and Tropical Homes Magazine, just to name a few. Clayton Wade also appears as the ‘resident real estate consultant for Thailand’s ‘Property Profile’ television show. His many accomplishments in promoting Thailand’s real estate industry include having appeared with several of Thailand’s top political and business figures on CNBC’s Managing Asia programme. Robert Krupica is an attorney from the United States, having qualified before the California Bar. 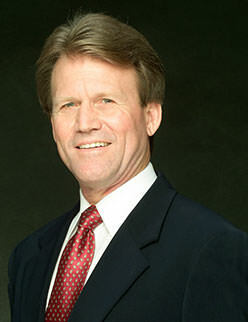 After receiving his Juris Doctorate degree from the Santa Clara University School of Law in California’s Silicon Valley, Robert practiced law in California gaining both transactional and litigation experience on a variety of complex business, employment, bankruptcy, and real estate cases while representing both businesses and individuals. 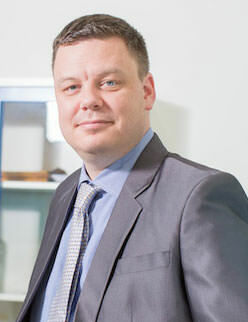 Robert previously studied law at the National University of Singapore and then worked for a boutique Intellectual Property law firm in Singapore before co-founding Hughes Krupica in Thailand, to deliver a better modern and progressive platform of specialist legal services to international clients seeking to invest in South East Asia. 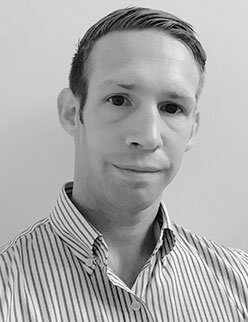 Originally from the UK, George is a dynamic individual with an educational background and University degree in Business and Marketing. His skillset and analytical approach along with experience in operational management has shown his interest and ability to develop and implement best approach strategies and plans. George has worked in the real estate industry on Koh Samui for a number of years having been involved in property agency, consulting and development sectors and has worked closely with a range of real estate developers and products on all levels including some extremely high-end luxury developments and well recognised brands. He currently owns and operates a professional real estate investment agency (Form Realty Thailand) with a primary focus on providing clients with a well rounded and trustworthy service that supports their specific and individual requirements and needs. 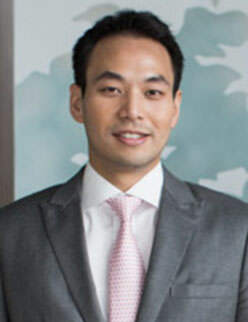 All of the above combined has allowed him to establish his current presence and reputation within the Thailand real estate industry. received her Ph.D. (civil engineering) from the University of California, Berkeley, U.S.A. in 1993, M.S.C.E. (construction engineering and management) from the University of Michigan, Ann Arbor, U.S.A. in 1987 and B.Arch. from Silpakorn University, Bangkok, Thailand in 1985. She is the Chairperson of the Department of Real Estate, Martin de Tours School of Management and Economics, Assumption University of Thailand since 1997. She has work experiences as a building designer, project managers, construction managers, and a contractor. Her famous book, “Housing Project Development Process in Thailand” (Chulalongkorn University Press, 2013), is the first book of its kind in Thailand. 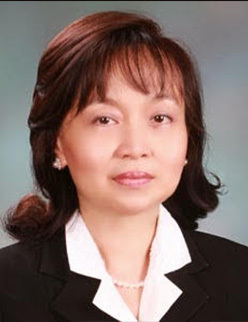 She has been serving the Thailand Real Estate Association (TREA) as a board member since 1994. The 14th PropertyGuru Thailand Property Awards gala dinner and awards presentation ceremony will be held at The Athenee Hotel, a Luxury Collection Hotel, Bangkok on Friday, 9 August 2019. Around 600 guests and VIPs attend the gala event, which is exclusive for shortlisted developers, sponsors and partners, comprising C-level and senior industry figures in real estate development, property consultancy, construction, marketing, property technology, legal, finance, and architecture and design. Select members of the media cover the event. Register now!